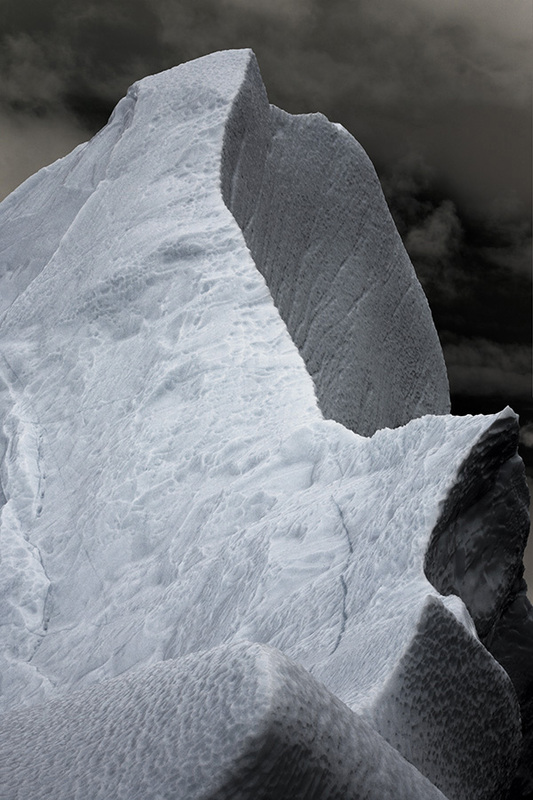 511 GALLERY is pleased to announce Sirens, a solo show of photographs by French Canadian artist Jocelyne Alloucherie. 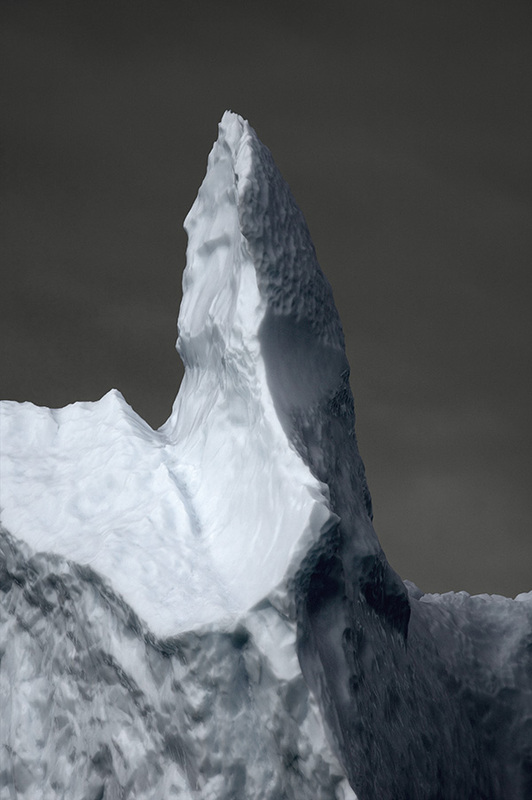 The photographs that make up the exhibition are the result of Alloucherie's observation of icebergs, which the artist describes as "non-sites on the sea where you lose all references to scale and get surrounded by ice." Alloucherie traveled to the northeastern coast of Newfoundland in a fisherman's boat to photograph these "strange ghostly precarious objects", which dominate the legends of northern populations. Ultimately, like the mythic nymphs of The Odyssey who, through their songs, lured sailors into the sea and to their own destruction, Alloucherie's icebergs are sirens. 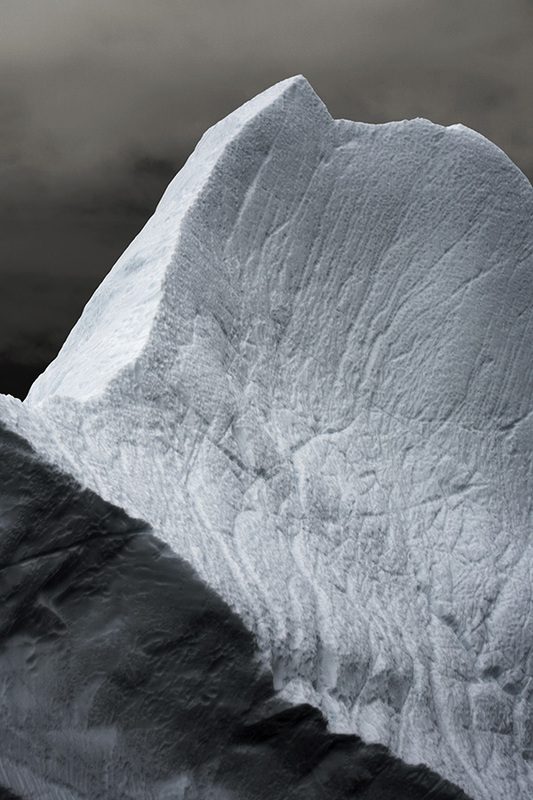 These contemporary icebergs are seen as lurid presences that constitute at once abstractions and concrete bodies-landscapes in continuous transformation. Sirens continues the artist's exploration of landscape as the territory in which photography, architecture and sculpture meet one other. 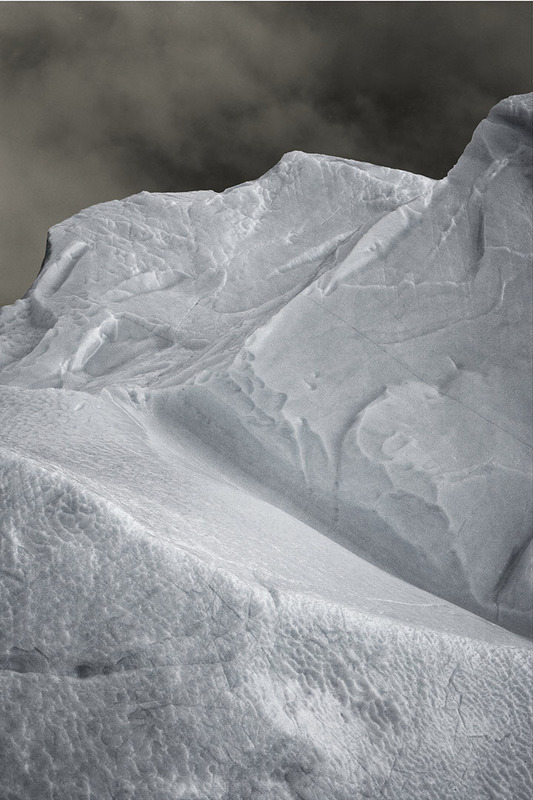 Alloucherie's previous exhibition at 511 Gallery in 2007, Lames, featured large photographs of sand manipulated by the artist to contrast positive and negative form. 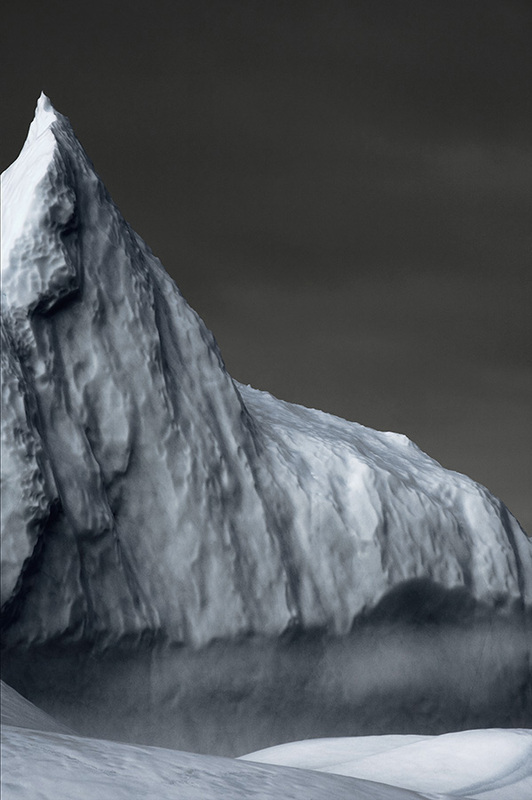 In Sirens, Alloucherie uses a digital camera to give the images of icebergs a videolike quality. 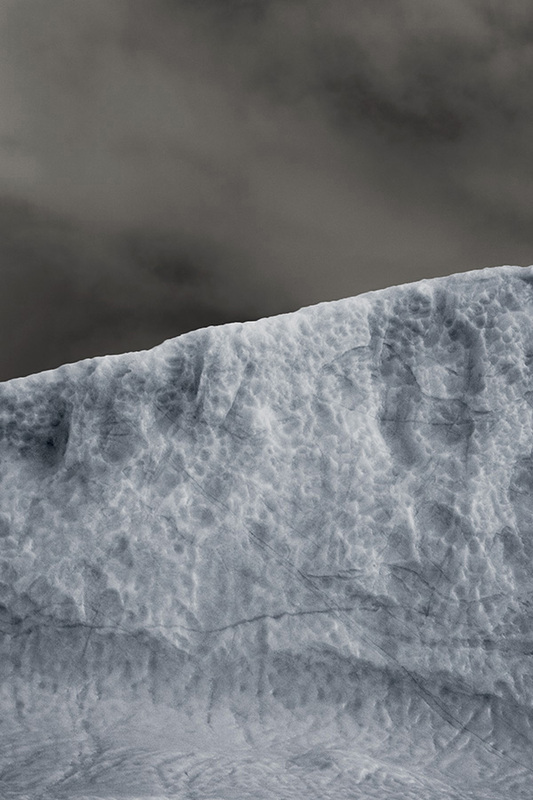 The photographs are mounted on white blocks, chosen by the artist to allude to the subject matter - ice - and its mythical aspect. 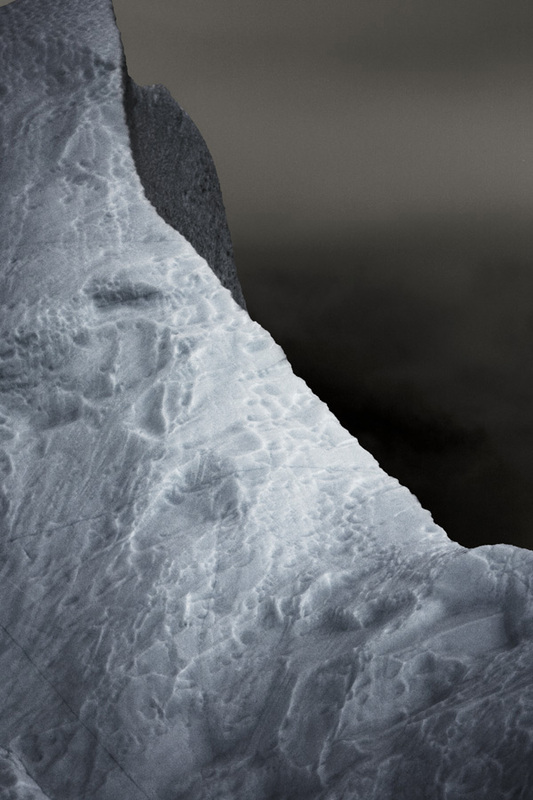 The photographic image constructs landscape as a monumental presence that combines structural and aesthetic values. Natural elements become architectures, venues that swing between the ephemeral and the permanent, between fragility and solidity. In July 2008, Jocelyne Alloucherie was appointed an officer in the visual arts sector of the Order of Canada, a national distinction awarded to individuals in recognition of a lifetime of outstanding achievement. She was also the recipient of the 2002 Paul-Émile-Borduas Prize - the highest honor given by the Government of Quebec in the field of the visual arts. An artist with an international reputation, Alloucherie has had more than 25 solo exhibitions in Paris, Tokyo, Turin, Bremen, Montreal and New York City, among other locations. She has also participated in group shows in North America and Europe. Her installations are included in many international museum and private collections.